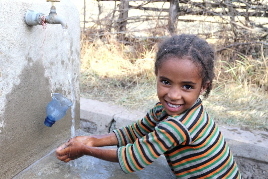 In 2013 the Not Yet Foundation gave support to Water 1st to help build a water system in Dawo Kara, Ethiopia that would provide the community clean water access. 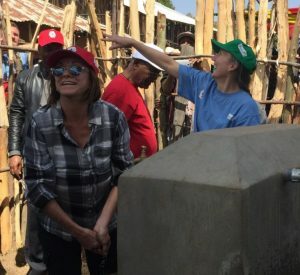 On February 16, 2016 Water 1st and Not Yet Foundation joined the community of Dawo Kara, Ethiopia to celebrate the inauguration of their newly completed water project. 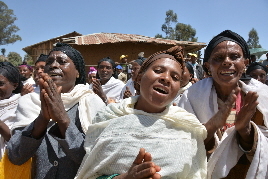 Hundreds of community members came out to celebrate the completion of a water system that will serve Dawo Kara’s 3,700 residents. A water committee has been elected by the people to manage the water system effectively as well as to train specific ways that the community members can use the new water resource to prevent diseases. The other major goal of this project was to promote latrine construction and use. Over the course of project implementation, latrine use has increased to 92.8% (501 out of 540 households). Water 1st will continue to monitor this project to ensure results are sustained over time.